Podcast: Scott Parker of A-Town and The G.O.A.T. Scott Parker is part of a group of partners who together have built something of a nightlife empire in Arlington. A-Town Bar and Grill, Don Tito and Barley Mac have all been hits along the Rosslyn-Ballston corridor. 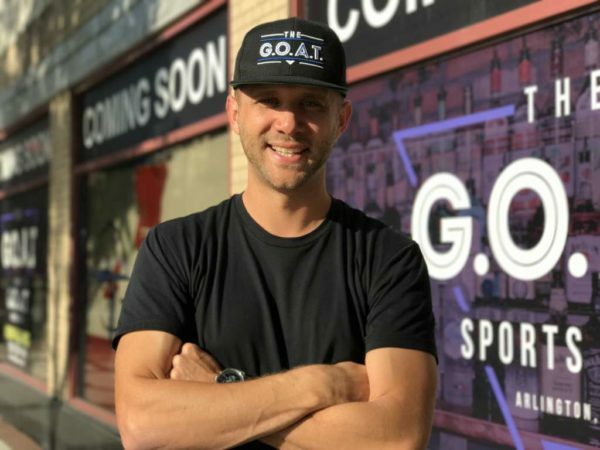 And now Scott and his partners are getting ready to open (in the next couple of weeks) The G.O.A.T., a new sports bar right across from the Clarendon Metro station in the former Hard Times Cafe space. Scott has helped to build this empire based on Sunday Fundays and happy hour drink specials all while having a somewhat unique personal background for a bar impresario: he does not drink. On this week’s 26 Square Miles podcast, we sat down with Scott to discuss how he achieved success after success in the notoriously difficult restaurant industry, what to expect with the G.O.A.T., what comes next, and what he thinks of the current state of the Arlington bar and restaurant scene. Listen below or subscribe to the podcast on iTunes, Google Play, Stitcher or TuneIn.